Master JavaEE Design Pattern implementation to improve your coding efficiency Professional JavaEE Design Patterns is the ultimate guide to working more efficiently with JavaEE, and the only resource that covers both the theory and application of design patterns in solving real-world problems. The authors guide readers through both the fundamentals and little-known secrets of JavaEE6/7, presenting patterns throughout, and demonstrating how they are used in day-to-day programming. As the standard computing platform in community-driven enterprise software, JavaEE provides an API and runtime environment above and beyond JavaSE. Written for the experienced JavaEE developer hoping to improve code quality and efficiency, the book contains time saving patterns, including: Implementation and problem-solving with design patterns Connection between existing non-JavaEE design patterns and new JavaEE concepts Unique organization that prioritizes the most relevant patterns before expanding into advanced techniques Individually-based focus that fully explores each pattern Unlike most JavaEE books that simply offer descriptions or recipes, this book drives home the actual implementation and application to keep square pegs away from round holes. 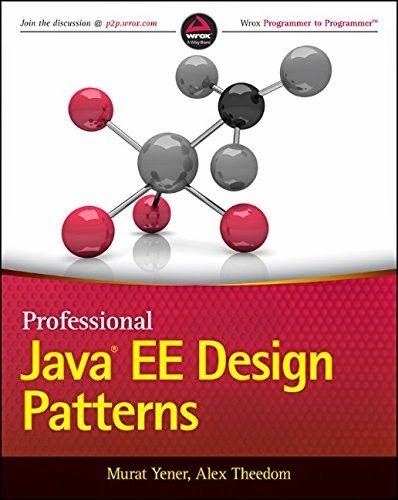 For the programmer looking for a comprehensive guide that is actually useful in the everyday workflow, Professional JavaEE Design Patterns is the definitive resource on the market.